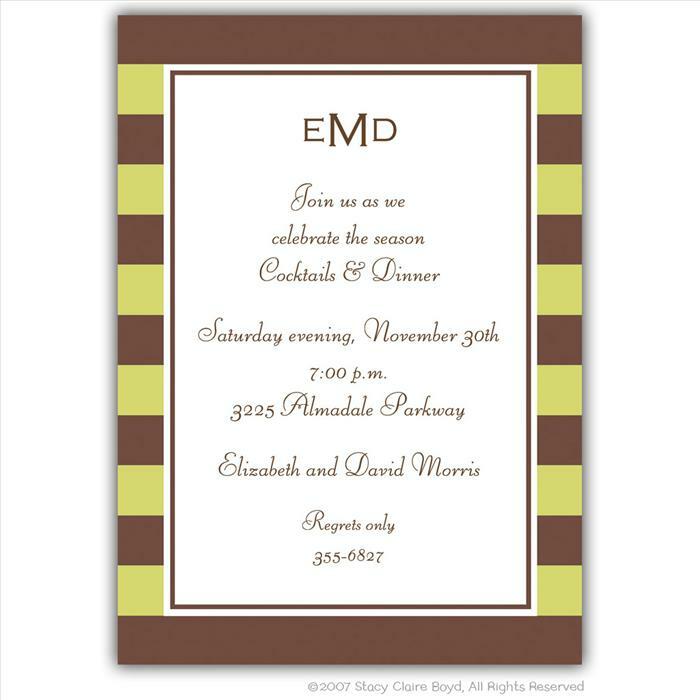 Description: Celebrate the season with family and friends with this Chocolate Mint adult stationery. This design feature classic bold stripes in chocolate and pistachio green. Card measures 5" x 7". Price includes up to 8 lines of text (extra lines are $5.00) Matching return address sticky or printed return address is available. Ribbon is extra, inquire for pricing.